This program, actually the last set on the last night of a 6-night stay at the Village Vanguard, is, in a word, wonderful. Combining 4 original pieces with one each by Eubie Blake, Thelonious Monk, and Sonny Rollins plus a work from Brazilian composer Jacob de Bandolim as well as the standard "In the Wee Small Hours of the Morning", this is music to savor either alone or with a close friend. It's not so much that this is "romantic" music (though it has its moments), it's contemplative, probing, and, in the end, filled with the joy of a musician inflight full - the music would be lost on a group of people unless they were sitting in a club or concert space. Every piece is required listening, from the bluesy riffs of "Down Home" (dedicated to guitarist Bill Frisell - during the solo, listen for the quote from "If I Only Had a Brain" ) to the melodic and harmonic elegance of "Pastorale" (dedicated to Robert Schumann.) Blakes' "Memories of You" has a contemplative, melancholy, feel while Rollins' "Doxy" starts quietly, formal in the stately presentation of the melody line before the pianist takes the piece through shifts of mood and dynamic variations. Fred Hersch has long been one of the musicians I turn to when in need of rejuvenation. Not because the music is revolutionary or "swings like mad" or, on the other hand, mindless and loud. There is a clarity of vision in his music, he's not afraid to take other composer's work and find his own interpretation while his original compositions are thoughtful and well-organized, always leaving room for exploration. If you have never explored his recording "Leaves of Grass" (Palmetto, 2005), which utilizes Walt Whitman landmark work from the 19th Century, find it and dig deeply into its complex yet approachable world. Meanwhile, "Alone at the Vanguard", as I wrote above, is wonderful listening. For more information, go to www.palmetto-records.com. To find out more about "My Coma Dreams", go to www.fredhersch.com. My Garden (Poems By Charles Bukowski) - Nicholas Urie (Red Piano Records) - Much has been made of composer/arranger Urie's age (he'll be 25 in July) and that's the last you'll read about it in this review. His debut recording, "Excerpts From An Online Dating Service", was brash in its lyrical content, with arrangements that emphasized the talents of the fine musicians in the large ensemble. One could say the same about this recording, except the results are even more impressive. Urie takes the poetry of Charles Bukowski (1920 - 1994) and dresses the words with music that often rumbles, sparkles and moves in unexpected directions. The 12 musicians assembled for the recording includes the wonderful rhythm section of Frank Carlberg (piano, Rhodes), John Hebert (bass) and Michael Sarin (drums). Add to that impressive trio the reeds of Jeremy Udden (soprano sax), Douglas Yates (alto sax, clarinet), Kenny Pexton (tenor sax) and Brian Landrus (bass clarinet) plus the trumpet section of Albert Leusink, Ben Holmes and John Carlson with trombonists Alan Ferber and Max Siegel - this is one formidable band. Christine Correa, who has truly become one of the finest lyric interpreters in contemporary music handles the majority of the vocals. Throughout the program, Urie's arrangements for the horns capture the ear. 2 short pieces, "Lioness" and "Lean", have funky beats underneath while Yates flies atop the ensemble on bass clarinet and alto sax respectively. The latter is quite fiery with typical Bukowski humor in the lyrics - "Drinking beer doesn't make you fat/ It makes you lean/ Against bars, tables, chairs and poles." "Round and Round" moves outward from the words "You have my soul/And I have your money" with a circular melody line that opens into an exciting Carlberg solo on Rhodes over the driving accompaniment of Hebert and Sarin. When the horns reenter, they too play a circular riff that opens into Kenny Pexton's boisterous solo. Near the end, Correa's overdubbed vocals add to the clamorous effect. "My Garden" finds the vocalist in a quieter mode supported by the excellent work of trumpeter Carlson (muted for the beginning of the piece and open bore on his solo) and trombonist Ferber. Their solos expand upon the somber irony in the lyrics, the entirety of which is "In the sun and in the rain/ and in the day and in the night/ Pain is a flower/ Pain is flowers/ Blooming all the time." The horn arrangement under the vocal for the final verse utilizes various members of the ensemble shadowing Correa - you may miss it first time through but the Erik Satie-like feel of the section works quite well. In the midst of "For Crying Out Loud", there is a solo section for Carlson and Udden that is highly effective for the contrast in their lines and tone. Also effective is Yates' alto sax behind the vocal later in the piece as well as Sarin's martial drumming and Hebert's bowed bass lines that lead the piece out. On my initial journey through this program, I thought I heard the influence of Charles Mingus in Nicholas Urie's music, especially in the way he moves the horn lines around behind the vocals. It's there on 1 or 2 tracks but not dominant throughout. What does remain after"Finality" rides out on the elongated chord played by the brass and reeds is that the fact that "My Garden" is overflowing with ideas, strong playing and singing, plus the feeling that Nicholas Urie is going to be a major voice in creative music for decades to come. For more information, go to www.nicholasurie.com or http://redpianorecords.com. Art of the Improviser - Matthew Shipp (Thirsty Ear) - Here are 2 distinct sessions by pianist Shipp, both recorded live, the first from April 2010 recorded in Troy, New York, featuring bassist Michael Bisio and drummer Whit Dickey; the second a solo session from Le Poisson Rouge in New York City. One hears so many streams in Shipp's music. The Trio session, one continuous 52 minute set, has traces of Andrew Hill's music on the first 2 tracks. "The New Fact" moves from the full chords of the chorus to the thorny swing of the solo sections. Bisio matches the pianist's energy with insistent bass lines while Dickey colors with his excellent cymbal. The piece shifts about 1/2 way through its 12+ minute run for a long bass solo that leads directly into the next piece "3 In 1" with a melody line that sounds like variations of "Rock-a-Bye Baby." Shipp mines the melody and chord changes for all their worth while Dickey drives incessantly from below. The remaining 3 tracks include a pair of older pieces, "Circular Temple #1" and "Virgin Complex" plus a rousing reading of Billy Strayhorn's "Take The A Train." The first track listed starts slowly with impressionistic piano lines over swirling cymbals and fine bowed bass. As the piece moves forward, the intuitive interplay of the trio captures the listener's attention. At the end, the music slows down as Shipp reaches into the piano to pluck the strings before diving headlong into the Strayhorn classic. There are moments where the thunderous chords resemble the sound of the train moving through the tunnel or a train idling in the station. Bisio's "walking" bass lines and Dickey's drive provide the propulsion for Shipp's musical travels. Disk 1 closes with "Virgin Complex", replete with the composer's rich two-handed piano phrases; when mixed with Bisio's bowed bass lines, the sound becomes a drone that rises and falls, coming to a close quietly and peacefully. Disk 2 is Shipp solo and it is a 39 minute journey through his fertile imagination. Opening with the contemplative and thickly-chorded "4 D", the program moves on to explore the possibilities of "Fly Me to The Moon" (quite impressionistic) and beyond to the "bruising" chords and melodic explorations of "Whole Tone." The final 3 tracks of the CD all were featured on Shipp's 2005 solo CD, "One." "Module", at times, utilizes the sustain pedal to create a storm of sound that Shipp relieves with short burst of single-note lines. That leads into the bluesy/boppish riff of "Gamma Ray" which the pianist uses a touchstone as he moves away into explorations of the chord changes, rhythmic and dynamic variations, yet always returning to the insistent theme. "Patmos" closes the disk, seemingly serving as an epilogue, again displaying Shipp's style of evolving melody lines and dynamic shifts. As with his 2010 solo CD, "4 D", this is a set to enjoy over and over because there is so much to absorb. Taken together, "The Art of the Improviser" shows Matthew Shipp at his best as a leader, as a composer, and as a member of an ensemble. He creates music that draws one in on the strength of his ideas and his ability to translate them onto the keyboard. For more information, go to www.matthewshipp.com. While the music is based on traditional Flamenco song forms, the results are a striking blurring of styles. After a handsome bowed bass solo that opens "Very Well" (the first track on the disk) and the richly toned alto sax solo from Sambeat, one gets pulled in by the fandango rhythm and the rising melody line. The tension is palpable yet the way the reeds and horns are arranged give the piece warmth. Listen to the drive and forward motion on "Sólo El Sol Sale Siempre Solo" (Solea), another piece that opens slowly and, in this instance, with angular saxophone lines from Stillman and Shepik's distorted guitar lines. There's a blues feeling in the bass line (which is doubled, at times, by Tepfer's acoustic piano.) The "heaviness" of that work stands in sharp contrast to the dancing melody lines of "Tocar Y Parar" (Alegrias), the saxophones moving easily over the handclaps and Mark Ferber's sharp drum work. The solo section features fine solos from Tepfer and Cohen - they both "swing" but not in an American context but in the declarative Spanish sense (Cohen's growth as a soloist over the past few years in impressive.) The longest track, "Por la Minima" (Bulerias) clocking in at 17:36), opens with insistent guitar chords, chattering electric piano lines, and a rhythm section in a different tempo. The tension that interaction creates does not subside when the reeds and brass enter and Cuadrado creates a swift line for one to play off the falling phrases of the other. Halfway through the piece, Sambeat rises out of the insistent chords with a sharply defined solo. There's a lot to absorb at this point, from the saxophonist's rising intensity to the splendid drum work to the staccato horn lines to the burbling piano. I'd be happy to talk about the rest of the tracks but you should discover the musical treats for yourself. The musicianship is as impressive as the expansive compositions; there are harder edges mixed with softer, intensely romantic, flourishes (the ballad "A Tientas" (Tientos) strikes me as a cross between Chico O'Farrill and Gil Evans.) This project, created thanks to a grant from Chamber Music America/"New Works" with support from the Catalan Center at NYU, photographer Dixi Carrillo, and released with the help from investors through Kickstarter, is really quite special. To find out more, go to www.alexiscuadrado.com. Nevertheless, both musicians are worth reading. 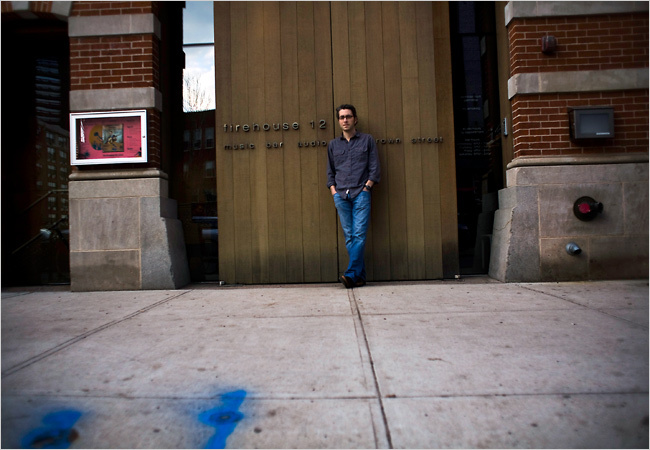 That's Nick Lloyd standing in front of Firehouse 12, 45 Crown Street in New Haven, CT. (photo courtesy of Improvised Communications.) The recording studio/performance space has just announced its Spring 2011 Concert series and it looks just wonderful. 13 shows on 13 consecutive Friday evenings and it all begins on March 18th with guitarist Adam Rogers' Trio featuring bassist Matt Brewer and drummer Clarence Penn for 2 shows (8:30 and 10 p.m.) Subsequent shows feature the Donny McCaslin Group (3/25), the Jeremy Pelt Quintet (4/01), the Ullmann/Swell Quartet (4/08), the Daniel Levin Quartet 4/15), Shane Endsley and The Music Band (4/22), Amir ElSaffar's Two Rivers (4/29), the Tom Rainey Trio with Ingrid Laubock and Mary Halvorson (5/06), the Rob Brown Quartet (5/13), Anthony Braxton Septet: Echo Echo Mirror House (5/20), the Ben Wolfe Quartet (5/27), Gretchen Parlato with pianist Taylor Eigsti (6/03) and the Scott Colley Trio (6/10). Now, that's a lot of good music. Prices are reasonable, there's a good watering hole in the basement (though, no drinks in the performance space) and the sound is exceptional. To find out more and/or buy tickets, go to www.firehouse12.com. Finally, saxophonist/flutist/composer/conceptualist Henry Threadgill seems to be all over the media lately. He's on the cover of the March 2011 issue of JazzTimes (and, inside, is the subject of a fine article by David R. Adler - read it here) while Jason Crane devoted a recent episode of "The Jazz Session" to critic Hank Shteamer and the liner notes he wrote to the Mosaic boxset "The Complete Novus & Columbia Recordings of Henry Threadgill & Air." You can hear the episode by clicking here. In April of 2010, Crane sat down with Mr. Threadgill to chat about many things Zooid and much more - it's also worth a listen, which you can do by clicking here. Among the great recordings that helped initiate my ears to the joys of jazz was Miles Davis's "Sketches of Spain." First issued in 1960, the recording paired the mercurial trumpeter with arranger/composer Gil Evans (pictured left) on a program of Spanish music from the pens of Manuel de Falla and Joaquin Rodrigo (as well as one of Evans' compositions.) Evans utilized a large orchestra with as many as 14 brass players, 5 reed players, a harpist, acoustic bass and kit drummer. "Beautiful" and "haunting" are good words to describe the results of their collaboration - Davis and Evans would go on to release "Miles Ahead", "Quiet Nights", and "Porgy and Bess" - they had first worked together in 1949 on Davis's groundbreaking "Birth of the Cool" but their 4 releases on Columbia found great popular success. All that leads into an email I received earlier today (reproduced below.) This looks and sounds like an exciting adventure, one that should appeal to fans of Evans' unique approach to jazz and contemporary music. Next year will be the 100th anniversary of Gil Evans' birth, and the Centennial Countdown begins on February 16, 2011 when composer/producer Ryan Truesdell launches The Gil Evans Centennial Project (GilEvansProject.com) with the assistance of fans, friends, and musical colleagues, powered by an ArtistShare® experience. While many centennial milestone celebrations involve collections and selections of greatest hits from the past, this centennial celebration brings to light newly discovered compositions. 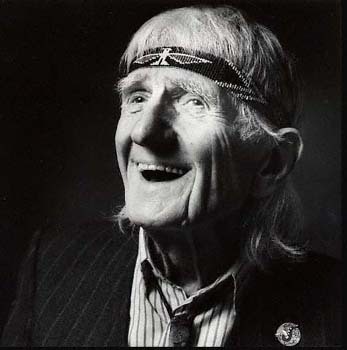 Most people know of Gil Evans' work with Miles Davis, but combining all of Evans' work with Davis accounts for only a few years out of a five-decade career. "Gil was an amazingly prolific composer and arranger. I saw thousands of pages of music manuscript, more tunes than I could count. As I went through this music, I started to realize that so many of these were never recorded or were heard live only a few times," explains Truesdell, the first person outside the Evans' family to have been granted full access to the musical archives. As Miles Evans says: "I'm very excited about this project, and I'm behind Ryan Truesdell 100%. He's a very talented young man, an excellent musician who has taken the time, and has the talent, to pull this off." Having sifted through stacks of music, some full scores, some just sketches, Truesdell has selected works that will give participants and listeners a look at Evans' musical world before and after his collaborations with Miles Davis. Among the works to be recorded for the first time are a number of pieces dating back to Evans' work in the late 1940s with the Claude Thornhill Orchestra, a few works written for singers including one originally arranged for an Astrid Gilberto album but never used, and never-before-heard works for a 24-piece ensemble that includes oboes, bassoons, French horns and percussion. This project will bring Evans out of the shadows, show him to be the pioneer that he was, and shine a new light on his legacy as a 20th century composer and orchestrator. The Gil Evans Centennial Project provides an opportunity for fans and aficionados, students and professional musicians, to all join together in bringing the music of Gil Evans to life. What could be a better birthday present? Fan-funded projects, a concept pioneered by ArtistShare®, not only support works of artistry, they provide participants with a behind-the-scenes view of the creative process. Through online audio, video, and journal entries, project participants will share the journey as Truesdell finds Evans' music, documents and compares the scores and sketches, applies deductive reasoning to prepare tempi, style and approach, and rehearses the band. Along the way, interviews with experts such as Evans' biographer Stephanie Crease, composer Maria Schneider, members of the Evans family, musicians who worked with Evans, and others who have been deeply influenced by his work will provide depth and historical context by sharing their experiences and insights. The project will continue with the recording, mixing and final release of the CD on May 13, 2012, Evans' 100th birthday. On March 13, 2011, just one week shy of the anniversary of Evans' death, special guests Phil Woods, Andy Bey and Frank Kimbrough will join the Eastman School of Music Chamber Jazz Ensemble conducted by Truesdell for a New York City kick-off concert. The 7 PM performance at St Peter's Church will be preceded by both a 3:30 PM afternoon panel discussion moderated by Stephanie Crease with Howard Johnson, Helen Merrill, Maria Schneider and Ryan Truesdell, and the Church's weekly 5 PM Jazz Vespers that will feature the music of Gil Evans with guest soloists Frank Kimbrough, Helen Merrill, Howard Johnson, and Steve Wilson as part of "Prez Fest 2011 - Celebrating Gil Evans." Truesdell, who was co-producer of Maria Schneider's award-winning album Sky Blue, is not only spearheading the project, but he will personally conduct the orchestra in live and recorded performances and produce the CD. A full range of participant levels is available from the $12.95 Download Participant to the $25,000 Executive Producer. Of special note is the $125 Composer Participant level that includes access to six audio lessons analyzing specific aspects of Gil's scores. Additionally, a brand new participant offer is still being designed that would enable schools, organizations, or even local communities to bring Truesdell to town where he would hold master classes and/or workshops as well as conduct a local ensemble in a concert of Evans' music, just as he did during the out-of-town preview concert that took place on February 17th at the Eastman School of Music in Rochester, NY. Participation in The Gil Evans Centennial Project is available exclusively through ArtistShare®, a company noted for its groundbreaking approach to connecting fans with the creative process. Ryan Truesdell is a composer of diverse musical tastes and influences with a healthy reverence for jazz tradition and an ever-broadening sonic palette. 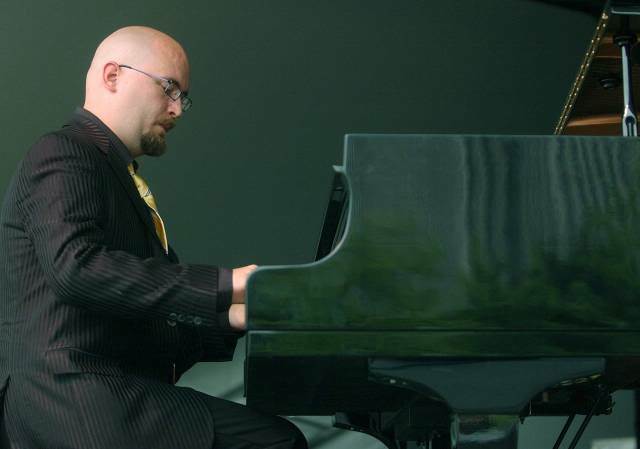 He received his Masters degree in Jazz Composition from the New England Conservatory and immersed himself in a broad range of musical styles while studying composition with Bob Brookmeyer and Lee Hyla. He composes and arranges music for an eclectic variety of ensembles ranging from small ensembles to big bands, wind ensembles to string quartets. Recent commissions include arrangements for trumpeter Ingrid Jensen with the U.S. Air Force Band of the Pacific, new music for pianist Frank Kimbrough with the University of Minnesota's Jazz Ensemble, and a new piece for Bob Brookmeyer's 80th birthday concert at the Eastman School of Music. Ryan was also awarded the First Music commission from the New York Youth Symphony's Jazz Band Classic, and conducted its premiere at the Allen Room at Jazz at Lincoln Center in 2009. As a producer, Ryan has already distinguished himself as a valuable resource in the studio. In 2004, he served as production assistant for Maria Schneider's record, Concert in the Garden, which won a Grammy award for Best Large Jazz Ensemble. He co-produced Schneider's next recording in 2007, Sky Blue, which has received unanimous praise including "Jazz Album of the Year" from the Village Voice Critics Poll, a Choc Award from Jazz Magazine in France, and a five-star review from DownBeat in 2007 (one of only two albums to receive that honor). Sky Blue was also nominated for two Grammy Awards, and won the category of "Best Instrumental Composition" (Cerulean Skies). Most recently, Ryan traveled to Hamburg, Germany to produce a recording with Bob Brookmeyer and the Norddeutscher Rundfunk (NDR) Big Band, including both new and old works from Bob's catalog. Ryan is an active guest clinician and conductor, working with musicians at a number of schools and organizations including Lawrence University (Appleton, WI), University of Minnesota, Twin Cities (Minneapolis, MN), Eastman School of Music (Rochester, NY), and the New York Youth Symphony's Jazz Band Classic (New York, NY). For more information, visit www.ryantruesdell.com. 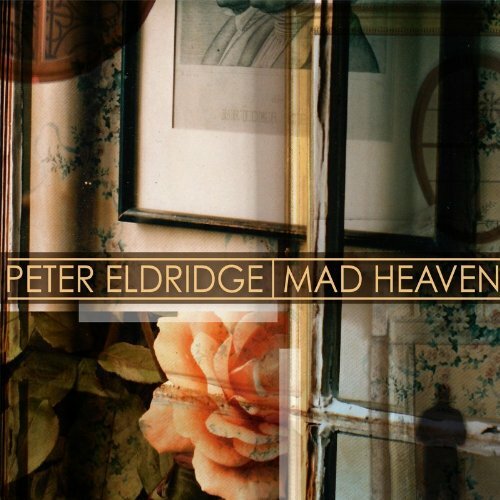 Mad Heaven - Peter Eldridge (Palmetto Records) - I've seen composer/vocalist/pianist Eldridge's music referred to as "easy listening." There are moments on his solo records (this is his 4th and first in 6 years) that tag might be applied. To these ears, this is "adult contemporary music" in the best sense. No pandering to youthful tastes or styles, no lyrics about "puppy love" or multiple sexual conquests, and there don't seem to be synthesized beats anywhere. Instead, we hear the leader's handsome tenor wrapped around lyrics that are often touching, sometimes humorous ( "Buffet Philosophy" is a hoot for anyone looking for ideas about dieting) and, on this effort, occasionally in Portuguese. His musical cohorts include guitarist Keith Ganz, saxophonist Joel Frahm, drummer and co-producer Ben Wittman, bassist Tim Lefebvre and percussionist James Shipp. There are background vocals from Lauren Kinhan and Darmon Meader (who work with Eldridge in New York Voices) as well as Kate McGarry, Amy Cervini, Jo Lawry and Rondi Charleston. Latin rhythms dominate much of the music. There is the beauty and softness of "Betty's Bossa (Chamego)" dedicated to Eldridge's mother, a wordless journey of love and appreciation (the leader creates a vocal chorus through multiple overdubs.) "Voce e Eu" (from the team of Carlos Lyra and Vinicius de Moraes) is a sweet samba that floats atop the lovely alto flute work of Aaron Heick with the accordion of Gil Goldstein adding a sweet texture. The title track, with lyrics based on a poem by Antonio Machado (1875-1939), a Spanish writer, features a handsome vocal arrangement for Eldridge, McGarry and Lowry. A gentle samba feel permeates the arrangement of Ray Noble's 1934 classic "The Very Thought of You." Frahm's tenor saxophone lines wrap around the vocal, creating his own spin on the melody. Eldridge's take on Ary Barroso's "Prá Machucar Meu Coração" features only piano, acoustic bass and guitar and quiet drums beneath the silky vocals. There is beauty in the economy of this music, in the intimacy of the relationships created by the voice and musicians and how that touches the listener. Wittman's percussion on both "Charmer" and "Warm December" is impressive in its scope; on the former tune, the piece bounces off his dancing rhythms while on the latter, he supplies the "heat" that pushes Frahm's tenor higher. Bask in the vocal work, enjoy the fine instrumentalists (who do not overplay but truly support without becoming anonymous) and soak in the emotional warmth of this music. "Mad Heaven" will not only warm your winter nights but will also remind you of summer breezes that relax the mind. However you react, this is good music. For more information, go to www.palmetto-records.com where you can stream the CD and learn more about Peter Eldridge. Botanic - Tyler Blanton (Ottimo Music) - Vibraphonist and California native Blanton moved to New York City in 2007 and has been steadily making a name for himself as a player and composer. This recording, his debut as a leader, features his "working trio" of bassist Dan Loomis and drummer Jared Schonig plus the excellent saxophone work of Joel Frahm - 2 tracks feature the rhythm section of Aidan Carroll (bass) and Richie Barshay (drums.) Frahm plays soprano on 5 of the 7 tracks on which he appears, a real treat because he has developed an excellent sound on the instrument. "Good Ol' Joel" is a bluesy romp with fine solos from the leader and the saxophonist. Schonig knows when to push the soloists and his interactions with them are impressive. There's more than a hint of "bebop" in the head of "Hemming and Hawing"; the solo section features heated solos from Frahm (soprano again) and Blanton. Frahm is on tenor for the title track, which enters on a rhythm that hints at both reggae and waltz rhythms. There is great swing and humor in Blanton's fine spot and his interactions with the rhythm section are playful. Barshay and Carroll appear on "Mellow Afternoon", a sweet ballad with a strong melody line, impressive (and melodic) drum work and a forceful soprano sax solo. The same lineup has a fine time on the final cut, "Vestibule", with its quick tempo changes and lightning shifts in intensity. Blanton's bell-like tones suggest the marimba - the sound permeates the background and really shines on his joyful solo. Everyone "hits hard" during Frahm's soaring soprano solo. Tyler Blanton's debut is fun to listen to, does not demand much of the listener except to pay attention - if one does, he or she will be rewarded with fine performances, solid melodies, and the opportunity to hear musicians who enjoy playing together. For more information, go to www.tylerblanton.net. In the case the name looks familiar, Kono has worked in the reed section of Darcy James Argue's Secret Society, the Ed Palermo Big Band, Gotham Winds, and the Schumacher/Sound Assembly. He's performed in Broadway "pit bands" and with artists as diverse as Hugh Jackman, Patti Austin, Liza Minnelli, Michel Legrand, and the Tommy Dorsey Orchestra. More to come on this most excellent recording. In the meantime, go to www.benkono.com where you can learn much more and hear pieces from "Crossings." I reviewed the new CD by Jerome Sabbagh (pronounced "Sah - bog") several months ago. "I Will Follow You" (Bee Music) features the saxophonist with guitarist Ben Monder and drummer extraordinaire Daniel Humair in a series of original pieces and free improvisations. The musical adventures grow on the listener and what might sound disjointed at first blush takes on shape with repeated listens. Jason Crane chats with Sabbagh on the latest "The Jazz Session" podcast. Listen here to learn how 3 musicians who had never played together before created their own world from trust, experimentation and talking to each other. 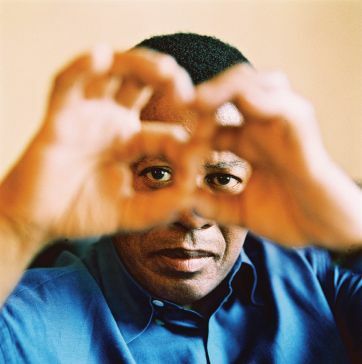 Wayne Shorter played in New York City this week with his cohorts of the past decade, they being Danilo Perez (piano), John Patitucci (bass) and Brian Blade (drums.) In honor of the event and the 10th anniversary of the Quartet, Shorter recorded a far-ranging interview with WBGO's Josh Jackson for "The Checkout" and, believe me, the chat is so worth checking out. To do so, click here. On the same program, Jackson chats with Either/Orchestra founder, composer, arranger, saxophonist and social secretary Russ Gershon. The E/O is celebrating its 25th anniversary and has performed concerts in its native Boston, MA and, now, New York City, that feature the current 10-person lineup and a plethora of alumni (including Miguel Zenon, Matt Wilson, John Medeski and others.) The band does not tour much outside of the Boston area - click here to listen to the interview. Gershon also had a good, long, sit-down with Jason Crane - give it a listen here. Finally, when you visit "The Checkout" and "The Jazz Session" and enjoy the contents, understand that these journalists and musicians work very hard - they need more than moral support and applause (good things to get, indeed.) Be monetarily supportive when and where you are able. We're Here To Listen - Leslie Pintchik (Pintch Hard) - Ms. Pintchik, composer, arranger and pianist and her group - Scott Hardy (bass, acoustic guitar) and Mark Dodge (drums) plus guest percussionist Satoshi Takeishi - play with beauty, sensitivity, dexterity and a desire to connect with the listener on a personal and emotional level. On this, her 3rd release, she proves herself to be a musical poet and painter. Opening the program with Bob Dylan's "Blowin' In The Wind", one can hear this is a band that listens, reacts and enjoys interplay. The tune is rearranged, given an arrangement that allows the rhythms to open up at the end of the verses - Dodge and Takeishi kick the piece into a samba beat that is infectious and Ms. Pintchik rides joyously atop it. Hardy's bass solo, played (mostly) in the higher register, is wonderfully melodic but is also the start of a trend that nearly undermines the program. It's not faint praise to say that Hardy is a skilled and very musical bassist. The lines he plays beneath the piano are rich with ideas but he solos on all but 2 of the 10 tracks. And, it's usually right after the pianist finishes her solo. His solos are really good but the pieces become predictable because of the lack of variety in the arrangement. The CD is ripe with beautiful tracks, from the lovely chestnut "For All We Know" to the Monk-influenced and blues-drenched "In the Wrong Place at the Right Time" (dedicated to U.S. Airways pilot "Sully" Sullenberger and his safe emergency landing in the Hudson River.) On the latter piece, the interaction of the pianist with percussionist Takeishi is divine and quite fun. The swing feel of "There You Go" is delightful while bassist Hardy's "Ancient" has a lovely melody line - the mood shifts within the song are highly effective. On this, the last track on the CD, the bassist finally gets to solo first and it's a welcome change. The arrangement of "I Can't Make You Love Me" (composed by Mike Red and Allen Shamblin but made famous by Bonnie Raitt) opens up slowly and you can help but feel the tension that the words hold conveyed in the music. About 2/3rds of the way through the 7 minute + track, the 4 musicians break the mood by speeding up the piece and, while it's well done, it seems superfluous after the handsome and affecting slow portion. I can't ignore the work of the 2 percussionists. This music never really gets loud yet the supportive work of Dodge and the colors that Takeishi provides are impressive throughout. Their interactions with the pianist and bassist keeps the listener involved, even on the ballads. Despite my criticisms, "We're Here To Listen" is worth investigating. Much of the music has great depth, there is humor, sadness and flashes of exuberance; in other words, this is music of the human condition. Approach it with open ears and you'll find plenty to enjoy. For more information, go to www.lesliepintchik.com. There, you will find a link to the DVD of this band in concert - watch the clip that is provided and see the magic of creative interplay. Mechanism - Florian Ross (Pirouet) - This CD of solo piano pieces (with occasional loops added) is the reason for the title of the column. I've listened to the 38-year old German born pianist/composer's program over a dozen times and I can't seem to find the proper words to describe its hold on me. This is not hard-edged and angular music nor is it "New Age" noodling. 17 tracks in under 56 minutes means few pieces are drawn out - in fact, 2 are barely over 60 second long and another 6 don't reach 3 minutes. Yet, the listener is never cheated, whether it's the dazzling pianistics of "Gyorgy" (63 seconds long) to the Erik Satie-like blues of "Catflap" (2 minutes), the songs do not feel incomplete. When Ross does stretch out, as he does on the 6 minute "Rondo Nr. 1", he varies the tempo and intensity to keep one's attention on the lovely, lilting, melody line he composed. There are times when one hears the influence of Keith Jarrett in the rumbling left hand rhythms but that does not happen often. The pianist's focus is on melody, on the harmonies the chords provide and imply. One feels impelled to listen, to let these pieces play over and over. The sounds comfort the listener, cares fall away, one relaxes. If it's experimentation you are looking for, look elsewhere. If it's sounds and music that can "soothe the savage beast", the charming collection that Florian Ross presents here is just the right tonic. For more information, go to www.florianross.de. 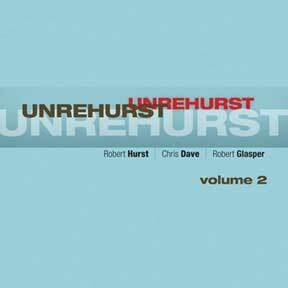 Unrehurst: Volume 2 - Robert Hurst (Bebob Records) - Detroit Michigan-born bassist Hurst (Wynton Marsalis, Branford Marsalis, Harry Connick, Jr., Geri Allen) is featured here with his Houston, Texas, cohorts Robert Glasper (piano) and Chris "Daddy" Dave (drums) in a program recorded live at Smoke in New York City in March of 2007. "Volume 2" was taped 7 years after its predecessor, a set that also featured Glasper plus drummer Damion Reid. What one gets here seems like the second set of a real good night of music. It's loose, easy, fun and, at times, charming. One can hear that these musicians are friends, they don't step on each other and they really enjoy a groove. All but 1 of the 5 tracks are over 12 minutes yet there is enough variety to keep one's interest. The set opens with Cole Porter's "I Love You", commencing with a short bass intro - when piano and drums enter, they ride Hurst's groove before a quick reading of the theme. Then, it's back to the groove and Glasper's long, unfolding, solo. In his own music, Glasper often melds hip-hop elements with bebop and other jazz styles - here, he channels his inner Herbie Hancock, taking the listener for a roller-coaster ride over Dave's explosive drum work and Hurst's "running" bass lines. Glasper's "Truth Revealed" starts as a sweet medium-tempo ballad, with a handsome melody (and good counterpoint from the bassist) but builds in intensity through the piano solo. Hurst's solo is filled with long, rapid-fire lines that play against Dave's quiet cymbal work. Thelonious Monk's "Monk's Dream" is fun, plenty of give-and-take, stops and starts, rhythmic shifts and that's just in the first 2 minutes. When Dave and Hurst lock into the groove, Glasper goes off into a multi-directional solo that is pure stream-of-consciousness. The bass solo also goes in various directions, at first playfully sparring with the drums then moving off into a melodic yet percussive set of riffs. When the Trio reunites, they trade choruses with Dave and one expects the theme to return. And, it does but in a series of variations that play off the melody and then the rhythm - there is even a short, impressionistic, coda as the music trails off. If you're looking for a straight-ahead piano trio experience, "Unrehurst" is not really the place to go. But, if you want music that builds off tradition as well as friendship, capturing the experimentation and interplay that jazz can offer, this CD is a treat. For more information, go to www.roberthurst.com. 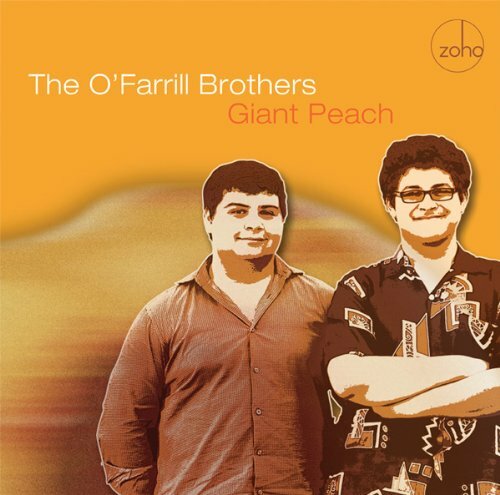 Giant Peach - The O'Farrill Brothers (ZOHO) - Here's a band with some kind of lineage - Grandfather Chico O'Farrill was a great composer/arranger and, arguably, the originator of "Latin Jazz" while father Arturo is also a fine composer/arranger and leader of the The Afro Cuban Latin Jazz Orchestra (whose new ZOHO release "40 Acres and a Burro" will be reviewed in the next few weeks.) Composer/trumpeter Zach (16) and drummer Adam (18) have performed with numerous artists and the quintet that appears on this, their debut CD, is a real working group - and it sounds like one. Hartford-area native Zaccai Curtis is the pianist, Michael Sachs the rock-solid bassist and Brazilian-born Livio Almeida plays tenor saxophone. Don't look at the CD cover or the names and expect either music for children or Latin jazz. The program swings, struts, dances, and is filled with fine playing. The only non-original tune, Benny Golson's "Stablemates", opens the program but it's not a "neo-con" turn. Brother Zack's parade-style drumming leads the way in and the band marches on through. Brother Adam gets the first solo and dives in, playing mostly in the lower and middle registers before giving way to Almeida's more mellow approach. The saxophonist contributes "Face It!" to the set and the tune has great forward motion, pushed mightily by Sacks' fine bass work. One can hear the influence of Wayne Shorter on the saxophonist's style, especially during his solo. The title track, penned by Adam, has an impish Thelonious Monk feel in the opening theme and the trumpet solo is a real joy, bluesy and brash over the driving snare drums. Curtis's solo really moves with and against the softer yet aggressive drum patterns. "The Composing Process" (great name for a song) is a multi-sectioned piece with a rich melody line and good harmonies; there's plenty of stops-and-starts in the rhythm section beneath Adam's crisply played solo. There's more playful percussion on "Crazy Chicken", another excellent piano spot for Curtis and the opportunity for Zack to let loose with a smartly-turned drum solo - the best part of the solo is that it's musical and not showy. Adam creates an exciting Latin groove for "Happy Hours" that is anything but typical. Sacks gets the first solo and displays a flair for melody even as the drummer dances behind him. The bassist's tune, "Side Street", is a funky groove with twists and turns - Almeida really digs into his solo giving it his gutsy best. "Giant Peach" is tasty and joyous music played by young musicians with a healthy respect for the past and their eyes and ears in the present. The rhythms are delicious (sounds great loud), the playing impressive and the melodies quite mature. Best of all, the young players remind us that jazz can be fun and funky without selling out to "modern fashions." The future for these 5 fine musicians looks very bright. For more information, go to www.zohomusic.com. As You Like - BANN (Jazz Eyes) - The quartet takes its name from its members - Seamus Blake (tenor saxophone), Jay Anderson (acoustic bass), Oz Noy (guitar) and Adam Nussbaum (drums) spent 2 days in the bassist's New Paltz, New York, studio and the results are worth sitting down and soaking in. Opening with 2 standards and a tune from the debut Crosby, Stills and Nash Lp, the music is loose-limbed and playful. After a playful groove introduces the pace, Blake and Noy read the theme from Jerome Kern's "All the Things You Are" in unison (first line) and with harmony (second line.) The solos are rich with ideas and there's a strong sense that these 4 musicians are friends. They're playing together; not just "playing" their instruments, but having fun with music. Thelonious Monk's "Played Twice" is another of that master composer's pieces that sounds simple but is anything but. After Blake and Noy play the head (twice), the piece relaxes into a reggae-soaked groove courtesy of Nussbaum's slapping snare and Anderson's popping bass lines. Both Blake and Noy get to solo over the shifting (and shifty) grooves..now be-bop, now reggae, now back. Anderson, as melodic a bassist as you'll hear, tosses in a quick solo then Nussbaum trades bars with the band. The bassist provides 2 original pieces to the program, the swinging "Will Call" (Noy has a great solo, trading licks with Blake) and the bluesy, boozy, "At Sundown." On the latter piece, Noy's guitar slides, moans, squeals and wails through his solo, moving up and down the fretboard with abandon but not insanely. The guitarist's "Minor Shuffle" has a Steely Dan feel in the melody line and opens up to a blazing guitar solo as well as a fine tenor solo. The title track is credited to all 4 members - it's got a catchy groove, feeling like the tune the band would play in the last set when they were kicking back. BANN's music is fun to kick back to, doesn't ask a lot but delivers with good grooves and fine solos. There are times when that's exactly what a listener needs. For more information, go to www.musiceyes.com. 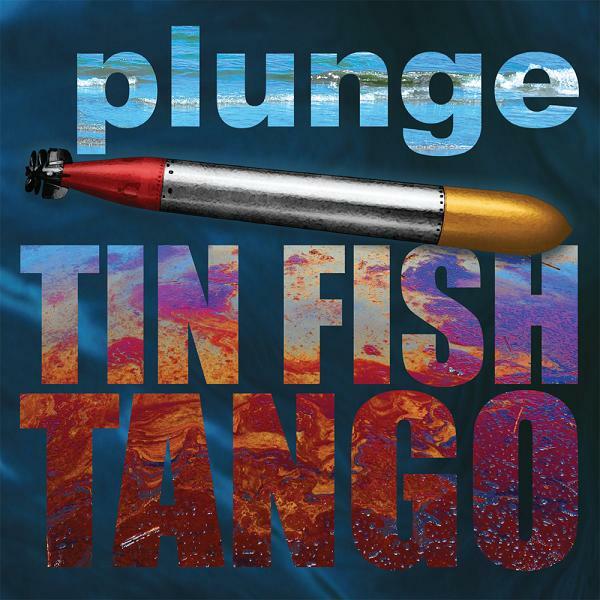 The only issue with "Tin Fish Tango" is the program goes on a bit too long (68 minutes) but there are pleasures throughout. Everyone plays well and the inspired moments outweigh the limpid passages. Pour a cup of herbal tea, dim the lights and savor the sounds. For more information, go to www.immersionrecords.com. Anthony Braxton, over his long and multi-faceted career, has produced scores of recordings, so much so that it has always been hard to keep track of what he's doing and when he did it. All that is about to change - no, the good Professor (he's on the faculty of Wesleyan University in Middletown, CT) is not laying down his many reeds or his pen. Read the informative press release below and follow the links provided. New York, NY - On Tuesday, March 1st, Anthony Braxton and the not-for-profit organization Tri-Centric Foundation will publicly launch a comprehensive new website documenting the composer's music and legacy. The site, to be accessible at http://tricentricfoundation.org, will offer an array of unprecedented features, including exclusive access to Braxton's extensive personal archive of live recordings and the first-ever digital downloads of the complete out-of-print catalog of releases from his own Braxton House label. True to its name, the Tri-Centric site will be split into three parts: a one-stop informational home for the composer and the foundation; a 'friendly experiencer' section for an immersive jump into Braxton's sound world; and New Braxton House Records, an online label dedicated to offering Braxton's music for convenient and affordable download. New Braxton House Records will be releasing two album-length downloads per month, with material ranging from recent Ghost Trance Music concerts to rare recordings from the 1970s, from solo saxophone recitals to orchestra performances. The label's initial release will be a Sextet (Philadelphia) 2005, a double album-length performance from Braxton's long-time working ensemble featuring the composer on saxophones, with Taylor Ho Bynum (brass), Jessica Pavone (viola), Jay Rozen (tuba), Carl Testa (bass), and Aaron Siegel (percussion). Additionally, for a limited time the website will be offering a free album download: Septet (Pittsburgh) 2008 with the same ensemble plus Mary Halvorson (guitar). The full catalog of the old Braxton House imprint from the late 1990s will also be available in downloadable format for the first time. Customers can buy any recording on an a la carte basis, or may choose to become subscribers, receiving each month's two new downloads plus 10% off all back-catalog items for $12+1 a month, with all proceeds from the sales directly supporting the Tri-Centric Foundation. Additionally, in a move reminiscent of Frank Zappa's Beat the Boots, the website will be culling from the hundreds of unauthorized Braxton concert bootlegs available online, 'liberating' those with the most historical value and offering them free-of-charge. The Tri-Centric Foundation is a not-for-profit organization that supports the most ambitious work of eminent musician/composer Anthony Braxton, while also cultivating and inspiring the next generation of creative artists to pursue their own visions with the kind of idealism and integrity Braxton has demonstrated throughout his long and distinguished career. Specifically, the foundation encourages broad dissemination of Braxton’s music through creation of, and support for, performances, productions, recordings and other new media technologies. It also documents, archives, preserves and disseminates Braxton’s scores, writings, performances and recordings and advocates for a broader audience, appreciation, funding and support base for Braxton’s work. The new www.tricentricfoundation.org website is a critical component of this larger mission. Perpetual Motion - Donny McCaslin (Greenleaf Music) -Did not know quite what to expect when reading that the new McCaslin CD was going to be "electric" but will tell you here that, if you are a long-time listener to his music, this is one enjoyable set of songs. Featuring the rhythm section of Adam Benjamin (Fender Rhodes, piano), Tim Lefebvre (electric bass) and either Antonio Sanchez (drums cuts 1-6) or Mark Guiliana (drums cuts 6-9), the music not only has "perpetual motion" but also lots of "forward motion." Blasting out of the gates with "Five Hands Down", the band plays with great fire (Sanchez knows how to electrify a rhythm) and McCaslin responds with a fiery solo, even squealing a bit near the climax. The title track has the feel of a Wayne Shorter-Joe Zawinul collaboration with a melody that continues to move upward and plenty of shifts in the rhythm section. The leader's solo, over Lefebvre's roiling bass lines and Sanchez's stormy cymbals, moves away from any Shorter influence into a percussive, squalling, booming statement. Uri Caine joins the fun on "Firefly", a ballad that builds atop Sanchez's active percussion and distorted Rhodes lines. It does build to a boil but moves into an "r'n'b" feel on the way out. The pianist also contributes the final track, "For Someone", a beautiful ballad that he plays solo. There's a touch of "fatback funk" in Guiliana's drums on "Memphis Redux", a sweet journey down to the Southland that may remind some of The Crusaders (after they jettisoned the word "Jazz" from their monicker) - both McCaslin and Benjamin (on acoustic piano) dig deep into their souls on the solo while the bass pops, bumps and jumps underneath. "L.C.Z.M." moves in on a funky riff that has the feel of a classic Led Zeppelin line and while the piece has tremendous drive, there is no bombast to weigh the groove down. Producer David Binney brings out his alto saxophone for "Impossible Machine", a tune he co-write with McCaslin. The 2 reed players explore the long melody line before McCaslin moves out into a well-drawn solo -the way he moves around the chordal interjections and with the shifting rhythms is exciting as well as pleasing. In the late fall of 2010, I saw Donny McCaslin play as part of guitarist Joel Harrison's ensemble and was highly impressed by his control. Yes, he plays with fire and virtuosity but rarely gets lost and never just "shows off." Yes, "Perpetual Emotion" is an "electric" album but not just because of the presence of the amplifiers. Dig into this music and you'll find plenty of soul and honesty. For more information, go to www.donnymccaslin.com. Courtesy of Greenleaf Music, here's a taste of "L.C.Z.M." Across The Sky - Geggie Trio + Donny McCaslin (Plunge) - I first heard bassist John Geggie when he was a part of the quartet known as Chelsea Bridge that released several CDs in the 1990s and also his work with pianist D.D. Jackson. A steady hand in the rhythm section, he's also a fine soloist and strong composer. It's hard to believe that this 2007 recording and 2008's "Geggie Project" Trio CD on the Ambiences Magnetiques label are his first as a leader in a career that spans 2 decades and genres as varied as classical, folk and jazz. This Trio features pianist Nancy Walker, drummer Nick Fraser and special guest McCaslin, Canadians all but the guest. Yet, McCaslin is no "Donny-come-lately" - he is an integral part of the music that moves back and forth organically from "straight-ahead" pieces to short, fully improvised, tracks featuring smaller combinations. The program opens with "The Eyes Are Worth 1000 Words", a piece with a loping bass line, a nifty bop phrase thrown into the theme and a sly tenor line. McCaslin plays around with Fraser's snappy drumming, Walker's occasional chords and his intensity rises atop the cushion provided by Geggie. He moves with the beat, behind and ahead of it, creating a memorable solo. Fraser gets a short but effective spot that leads back to the opening theme. The strength of this material is that every track is different, ranging from the ethereal ballad "From Which" (McCaslin plays high and softly in the tenor range and it's quite lovely) to the gentle funk of "Or Not" (with the leader's declamatory bass solo and Walker's rippling yet understated phrases.) The title track, composed by Geggie, has an open feel due to the rubato nature of the group interaction - there is beauty in the way Walker works beneath and alongside the tenor lines, all the while the rhythm section controls the shifting dynamics. The piano solo, with phrases that move like slowly falling water, is very lovely. "Brume" and "Ruelles" are group improvisations that come one after the other, the former (translated as "mists") building softly on the whispering tenor sax and the rising piano figures while the latter ("streets") is a "freer" conversation among the participants that picks up in speed but never gets lost. It's just piano and bass interacting on "Les Jardins de Luxembourg", creating a melancholy and mysterious dialogue of ringing notes and overtones. The pianist joins the saxophonist for the short and ethereal "Reflection", an Erik Satie-like impression. The CD closes with "Pompidou", just bass and tenor in a short yet bracing interaction. "Across The Sky" is music of the highest order, a program in which technique gives way to interaction and group dynamics. The melodies are smartly drawn while the improvisations display the trust and sense of adventure one craves hearing in creative music. For more information, go to www.johngeggie.com. Drummer Dan Weiss joins the group for 5 pieces, doubling with Blade on 4 of those tracks. The duo push mercilessly on "Terrorists and Movie Stars" prodding, even goading Binney and tenor saxophonist Chris Potter to "open up" and let fly, all the while Taborn is goosing the rhythm with pounding chords. The drum "twins" open "Any Years Costume" with a blazing dialogue that roars and jumps out of the speakers. After the ensemble pushes through the theme, the drummers along with Opsvik, drive the solo section underneath Binney's passionate solo. Trumpeter Ambrose Akinmusire spars with the drummers and Taborn for his hard-edged solo. The piece takes an interesting detour towards the quiet during Opsvik's handsome solo but ends dramatically. Parlato returns to sings along with the saxophones and trumpet on the short (1:35) but challenging "Same Stare, Different Thoughts." She also contributes lyrics to "Home", a piece that Binney has recorded several times in the past but never with words. Much of the opening moments feature voice, quiet and spare piano lines, nearly inaudible alto saxophone and soft drums (from Blade.) The piece builds slowly as Ms. Parlato stretches her lines into wordless sounds that open to Binney's expressive and emotional alto solo. Blade reacts to the soloist's energy and the piece builds to an intense finish. The CD closes with "Waking to Waves", a piece that opens with impressionistic vibrations before the efforts of drummers Blade and Weiss, Kenny Wollesen (vibraphone) and Rogiero Boccato (shakers and more) create a Brazilian rainforest of sound for the handsome melody (reminiscent of Caetano Veloso) - there is a mix of voices, saxophones, and Krantz's acoustic guitar before Akinmusire takes off for a powerfull solo that drives right to the last note. "Graylen Epicenter" is a stunning CD, with so much variety in sound and melody that the temptation to play it over and over is hard to resist. 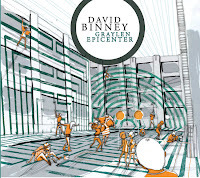 If you have not paid attention to David Binney, be advised. This is but one of a dozen CDs he has released (as either a leader or co-leader) since the turn of the Century. Each one is worth investigating (his work for Criss Cross is among the Dutch label's most impressive releases) - This new effort sets the bar very high for 2011 (and beyond.) 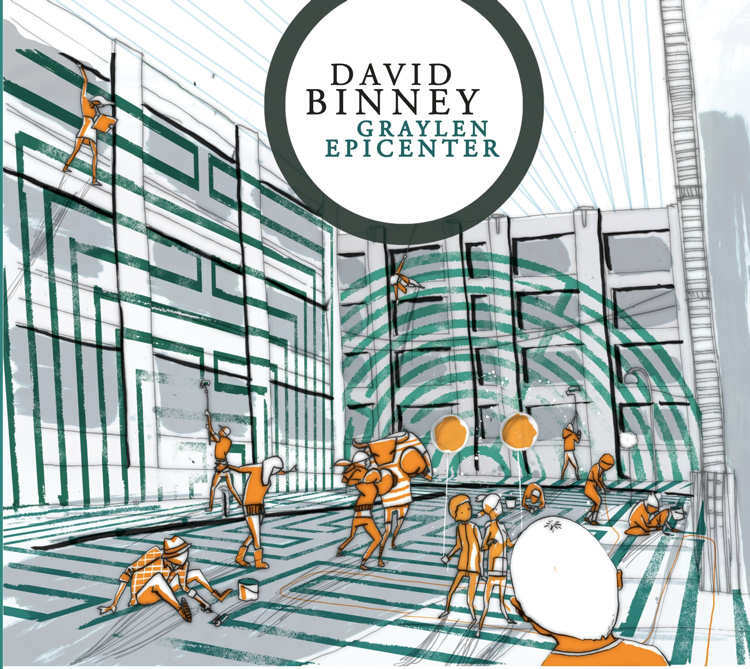 For more information, go to www.davidbinney.com. 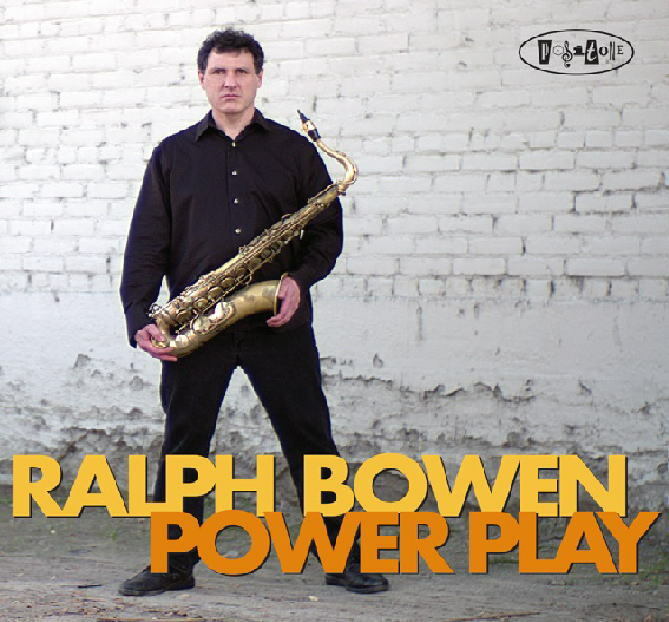 Power Play - Ralph Bowen (Posi-Tone Records) -Tenor saxophonist/composer came out of Canada in the mid-1980s to study in the United States and first came to critical notice as a member of the Blue Note labels hand-picked ensemble of "young lions" known as Out of the Blue. That group featured, among others, alto saxophonist Kenny Garrett, bassist Bob Hurst and drummer Ralph Peterson. Bowen went on to work with pianists Michel Camilo, Hank Jones and Horace Silver as well as vocalist Shirley Scott and bassist Charles Fambrough. This release, his 3rd for Posi-Tone, features the fine piano work of long-time friend Orrin Evans, bassist Kenny Davis and drummer Donald Edwards. Evans' tolling McCoy Tyner-like chords give great power to "Drumheller Valley" as does Edwards' powerful drumming. Bowen starts his solo (after a fine one from Evans) quietly but soon rides the roiling rhythm section to impressive heights. "Two-Line Pass" has the speed of a hockey game in the flying bass lines of Davis - Bowen blazes a mighty trail through the piano chords, having fun interacting with the ensemble. Evans takes his own joy ride with Edwards supplying the high-octane percussive push. Bowen wisely plays "My One and Only Love" as the pretty ballad it is, staying close to the melody and chord changes for his handsome solo. There is a sense of joy in his solo, a happiness that carries through the entire piece. "Power Play" does have its share of powerful playing but there is also a goodly amount of dynamic variation from track to track. What does not change throughout the program is the fine musicianship and the excellent interplay. Some might call Bowen's approach "modern hard bop" - call "honest good music" that's well played and you won't go wrong. For more information, go to www.ralphbowen.com or www.posi-tone.com.